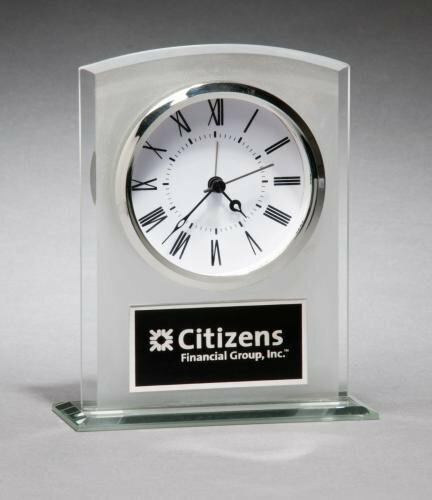 Glass clock with frosted front and polished edges. 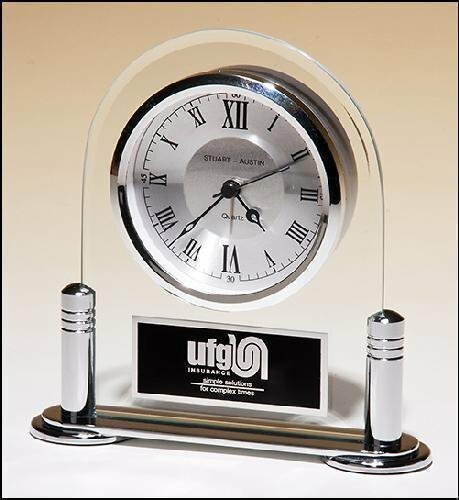 Silver bezel, white dial and three-hand movement. 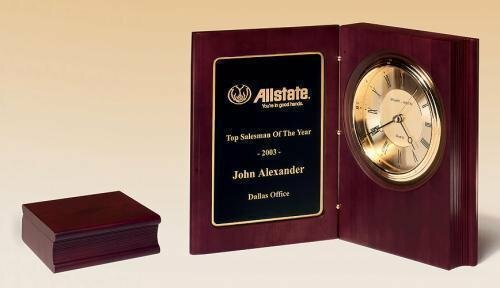 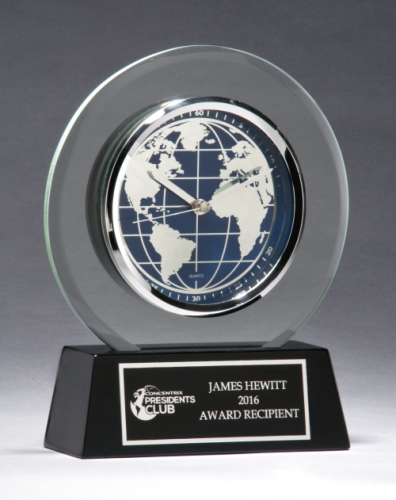 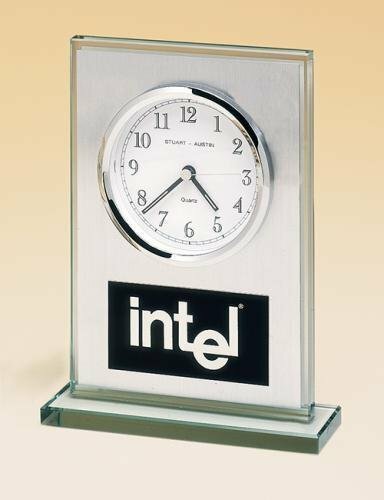 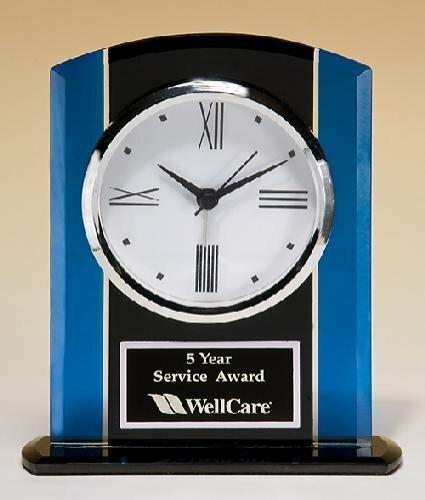 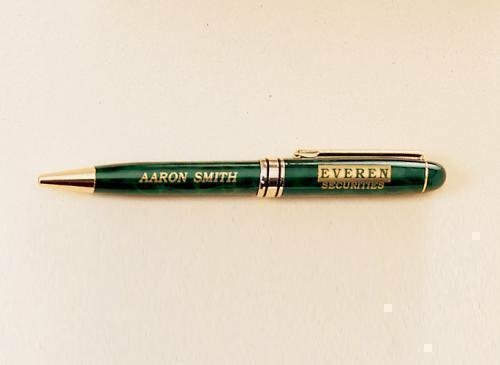 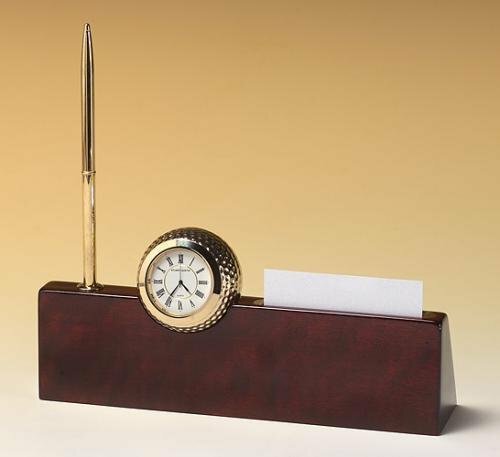 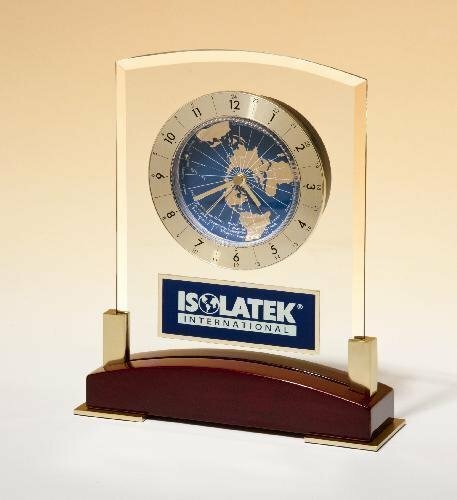 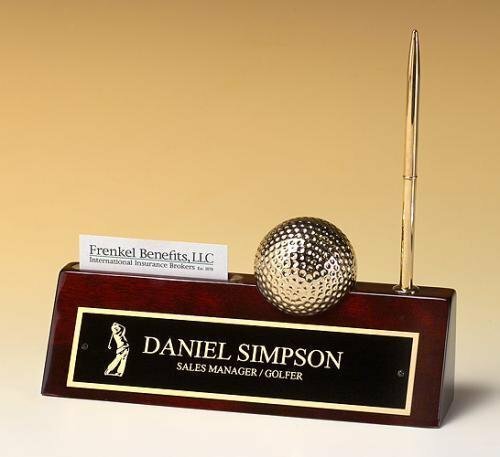 Price includes a lettered nameplate, Clock supplied with lifetime guaranteed quartz movement. 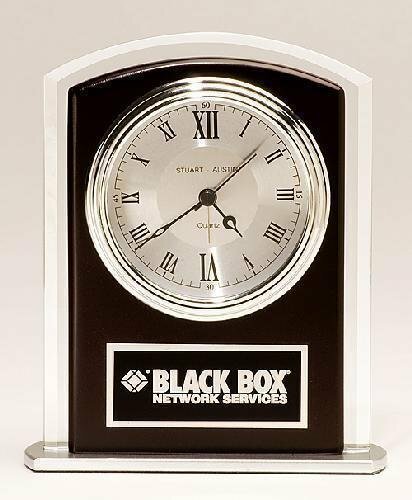 Batteries included and is Individually gift boxed.